Western mountain ash, Sorbus scopulina, is a medium sized erect shrub attaining hights not usually above 12 feet. Its new growth emerges sticky, Sor sco 2with whitish stemmed glands. The attractive foliage is a deep green color, leaves are alternate with between 9 and 13 narrow, fine-toothed, sharply acuminate leaflets 1 to 3 inches long. The large inflourescence consists of a many flowered 2 to 4 inch round-topped cluster, flowers are white with nearly rounded petals. 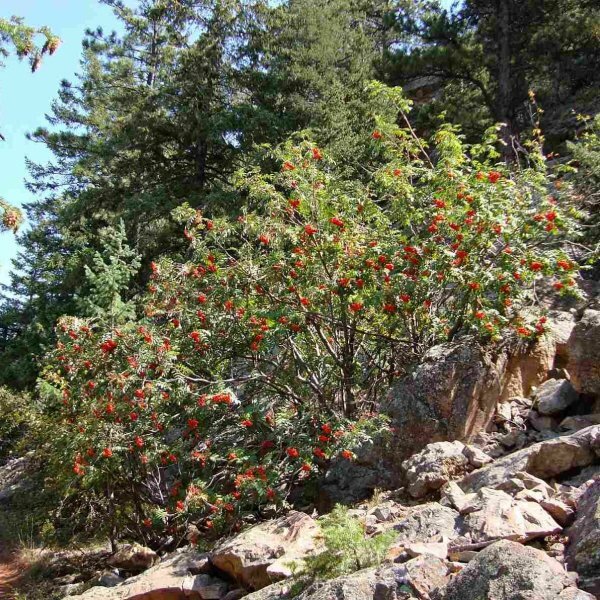 This showy white inflourenscence gives way to a substantial cluster of small orange to red berries which emerge at the same time the leaves begin to fall in the Autumn. 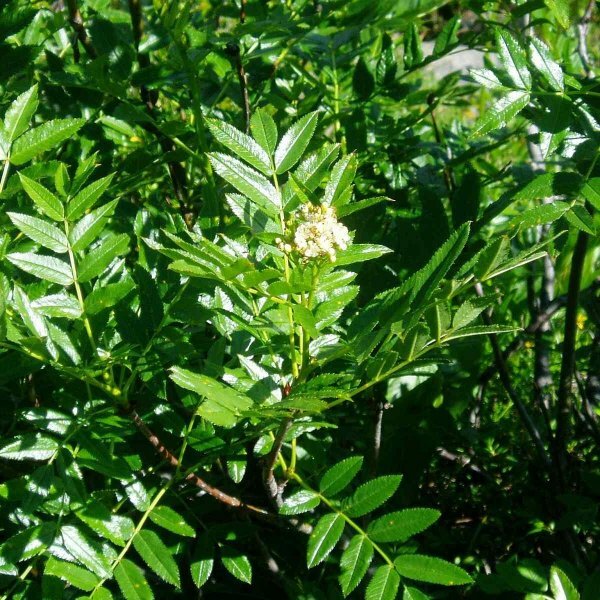 Sorbus scopulina grows throughout the western states with certain varieties being confined primarily to the west of the Cascade range crest. It grows in meadows, canyons, and along streamsides in open conifer forests at low to mid elevations. 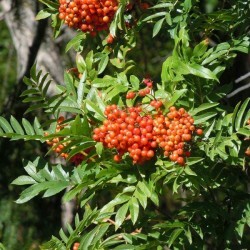 The fruit of the western mountain ash is edible although quite bitter until after the first frost. If so inclined, it is best to store the fruit in a cool dry place until almost, but not quite, spolied after which it can have a sweet tropical fruit flavor. 2. Sow 1 mm deep in the soil and keep moist in bright and warm place till the germination. 4. Water the seeds with 2,5-5 cm (1-2") of water per week, beginning after the last expected frost. The seedlings require consistently moist soil while growing, and the mature trees do not tolerate drought.